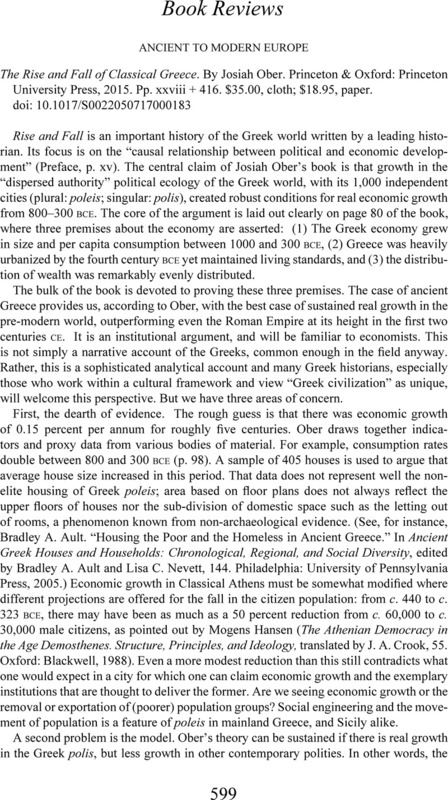 The Rise and Fall of Classical Greece. By Josiah Ober. Princeton & Oxford: Princeton University Press, 2015. Pp. xxviii + 416. $35.00, cloth; $18.95, paper.